Böttom line, you want it to be really good? Savour the unique taste of our creamy plain yogurt made with whole milk over a delicious layer of real fruit. Discover our 8 exciting flavours! 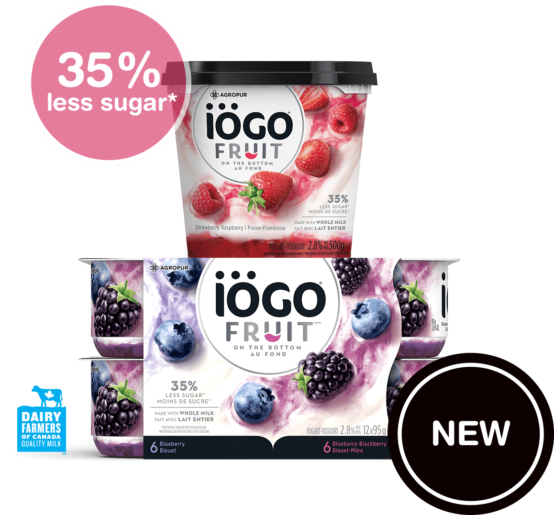 *The new IÖGO Fruit on the bottom yogurt contains 35% less sugar per 175g serving than our most popular yogurt, IÖGO Creamy.